Add bacon and cook until brown and crispy, about 6-8 minutes. Transfer to paper towel-lined plate. 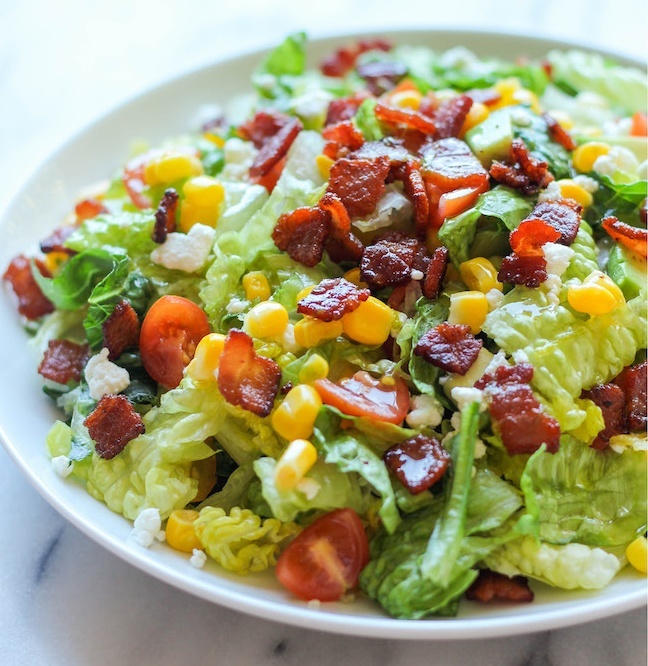 In large bowl, combine romaine lettuce, avocado, tomatoes, corn, goat cheese and bacon; set aside. In medium bowl, whisk together olive oil, apple cider vinegar, lime zest, lime juice, and sugar. Pour vinaigrette over lettuce and toss gently to coat.